Are you ready to jumpstart healthier habits? It’s not hard. I’ll show you how! The premise is simple. Eat whole foods e.g. fruits, vegetables, whole grains, nuts and seeds. Take out the bad (processed junk) and bring in the good (healing anti inflammatory foods, herbs and spices) and get moving at least 30 minutes a day. That’s it. 30 days of keeping to this lifestyle is bound to heal you of so many common issues. Plus, as a by product of eating and living this way, you will shed any excess weight you may have. And don’t we all love to have that happen? Yes! 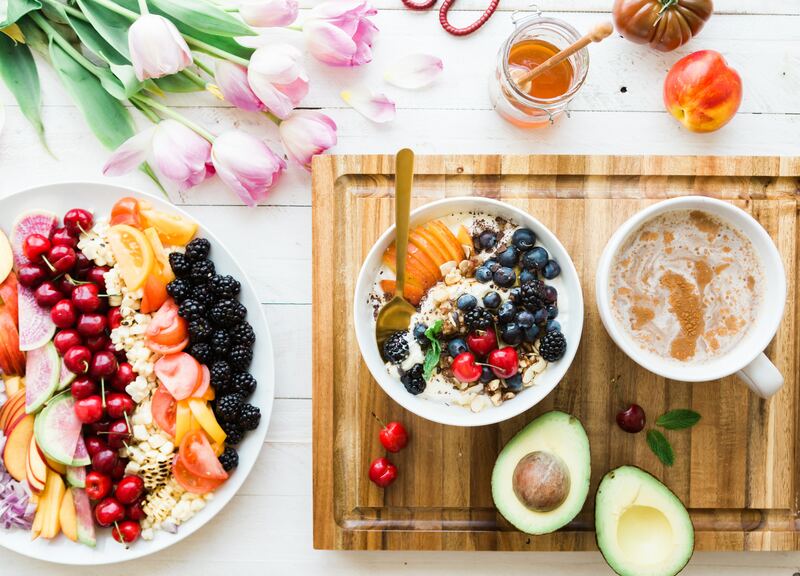 I started eating this way after being diagnosed with Hashimoto’s Thyroiditis and I want to help guide and support you so that you experience the health and vitality I do. I created this jumpstart challenge so that you can empower yourselves to live a healthier, happier life by creating healthy habits in a community of likeminded women who have the same goals as you do, to live a life free of joint aches and pains, clearer skin, more energy and less fatigue! I want to empower you with the knowledge to know which foods are good for you and how to make these choices on a daily basis. Daily check – ins, Facebook Lives to keep you motivated and a giveaway too! A private Facebook community of other like-minded women who have the same goals as you do to cheer you on! Q1. I don't live in the U.S, Is this challenge something I can do from anywhere in the world? A1. Absolutely! It is available for women 18 and older, anywhere in the world! We have had ladies from Kuwait, London and even Pakistan participate in the past challenge! Q2. Will I be able to use the knowledge I learn after the 30 days are over? A2. Definitely, I will empower you with the knowledge that will help you for the rest of your life! We will learn how to read nutritional labels, identify sugars in foods and many other life skills:) Q3. Will you be running this challenge again? Q.3 Is this a weight loss program? A3. I don't like to call it such because weight loss is not my main focus in this challenge but you will inevitably lose weight as a by product of eating and living this way. Q4. Do I have to give up my favorite foods? A4. That depends. If your favorite foods are refined, preservative laden sugar coated junk then yes, but guess what? I promise you, by the time you are done with this program, you will have learnt to conquer cravings and be more in control of what you're eating. Also, my recipe guide is filled with some delicious, family and kid approved recipes and I am positive that you will love them! Once you purchase the program you will get the guide, food diary and recipe ebook delivered straight to your inbox. Starting Monday May 6 2019, you will get your first weekly lesson and 1-2 action steps for that week. Watch the lesson and check in on the Facebook group for accountability and support to help crush your goal for that week. There is bonus content, weekly Facebook LIVES and even a giveaway!